Central City CU in Marshfield, Wis., has opened a student-run branch at a local elementary school, among other community financial education efforts. 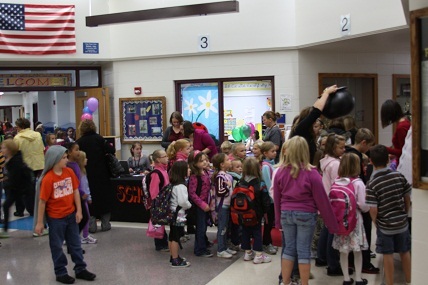 Students at Nasonville Elementary line up to visit their new, student-run branch of Central City Credit Union at their school. The branch of the $179 million Marshfield, Wis., credit union opened this school year and once a week the students can bring in deposits and take part in learning the value of savings. The 22,000-member credit union has won two straight Desjardins Awards for Youth Financial Education and recently was awarded a $12,240 grant from the National Credit Union Foundation that will enable Central City to more than double its financial education efforts.